1. 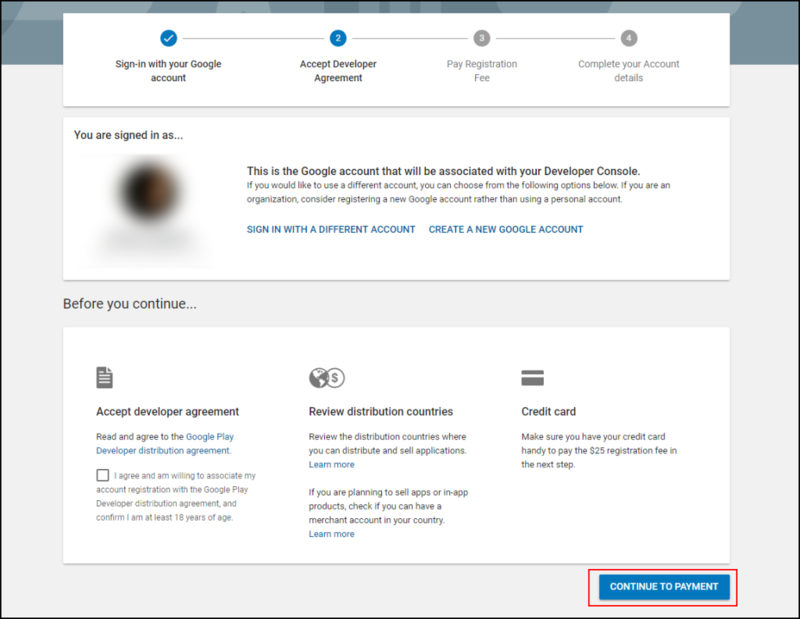 How to sign up for a Google Developer Account? Now let’s look at what do you need to do to create a Google Play Developer Account, and walk through the process step by step. 1. Go to the Google Play Console and log in with the Google account that you want to use for this purpose. 2. Read and Accept the developer distribution agreement and then click continue to payment. 3. 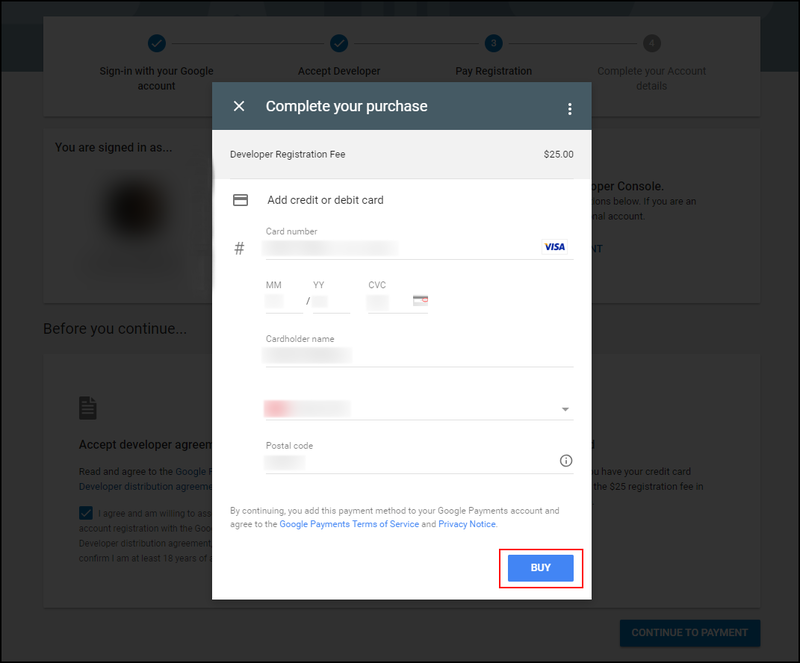 You need to pay the registration fee of $25 to create your Google Play Developer Account. Fill in the credit card information and click Buy to finish your payment. This is a one time only fee that the Google requires. Once you have paid it and activated your account, you are free time publish as many apps as you like, as long as they are in line with Google Play Store’s rules and guidelines. Congratulations! You have successfully created your Google Play Developer Account. You are now ready to publish your Android apps on Google Play Store. Now that you know how to sign up for a Google Developer Account, let’s proceed to the next step: uploading your app’s APK file to the store. Follow on with our next article: How to Upload an Android App to the Google Play Store.